What is a public Wi-Fi network? 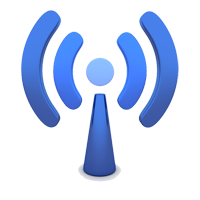 Wi-Fi stands for Wireless Fidelity. It refers to wireless data networking technologies. Wireless data networking links computers, including mobile devices, without wires (such as an Internet cord). The risk of using a public Wi-Fi network (or hotspot) is that information can be intercepted between the mobile device and the system connection. What is a secure Wi-Fi network? A Secure Wi-Fi network uses a password and secure encryption methods to send data wirelessly between a mobile device and the Internet connection point. Why should you use a secure Wi-Fi connection to transmit health information? A secure Wi-Fi connection uses encryption that helps you keep data safe from interception by a third party when it is being transmitted. How can you secure data when using a Wi-Fi connection? Regardless of whether you are using a public or private Wi-Fi connection (such as at your house), you can use a virtual private network, which encrypts the information you send. You can also use a secure browser connection. You will know if you have a secure browser connection if you see “https” in the website address. Read more about “https”. Turn off Wi-Fi, location services and Bluetooth functionality when not in use. The ability for others to “discover” your device exists when these functions are enabled and your mobile device is in an un-trusted network/internet environment. When near/in these environments unauthenticated devices could access and transfer data from your device even though you have not initiated the connection. A Virtual Private Network (VPN) is one way to create a secure connection even on a public unsecured network. A VPN provides security in an unsecured environment. The connection between your mobile device and the server is encrypted, so the information you send or receive is protected due to the encrypted tunnel established by the VPN, even on an unsecured network. VPNs are not dependent on Wi-Fi connectivity. VPNs can be established over all Internet connectivity options.